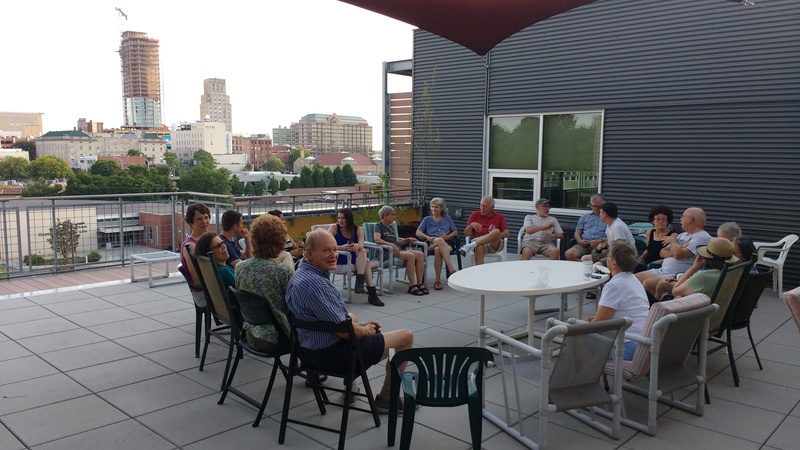 Durham Coho (The Durham Central Park Cohousing Community) is a group of individuals, couples and families who have created an urban, green, intentional cooperative housing community in downtown Durham, North Carolina (USNews "Best Places to Live"). We are located within easy walking distance of the Farmers' Market, the library, the YMCA, restaurants, stores, county senior center, parks, performing arts center, and theaters. We're less than 2 miles Duke University and its famous Medical Center. Our four-story building of 24 urban condominiums designed for aging-in-place was completed in July 2014 with units of 850-1700 sq ft and with access to common dining room, kitchen, great room, meeting rooms, guest bedrooms, gardens, and rooftop patio.